You can click on any image in this post for a larger view. 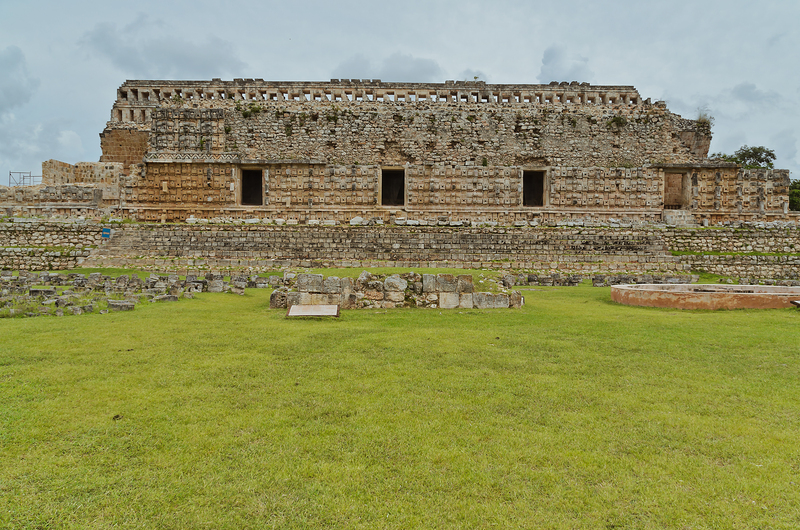 So we sat back for the long ride to Uxmal. It was literally in the middle of nowhere, as the road cut through forest with virtually nothing else around. It reminded me a bit of driving through certain portions of the Pine Barrens in New Jersey, but with even longer stretches of remoteness. 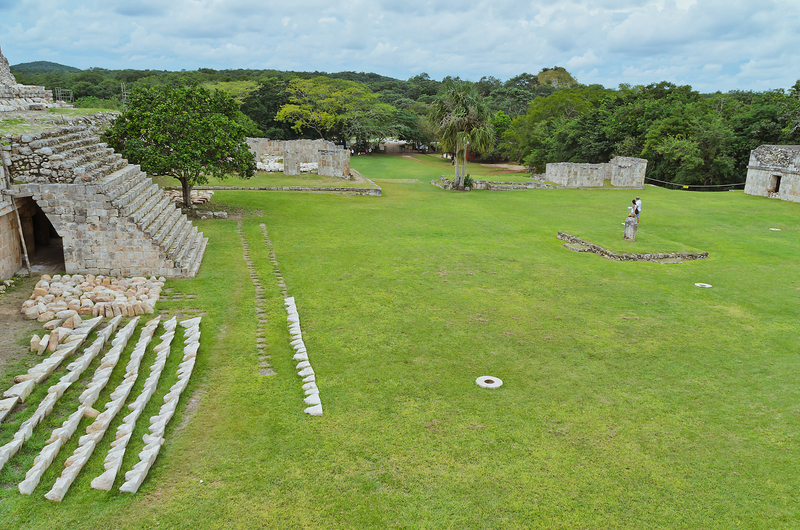 We eventually reached Uxmal and had time to do a little shopping before entering. It was a very hot day, and just as humid as the previous day. 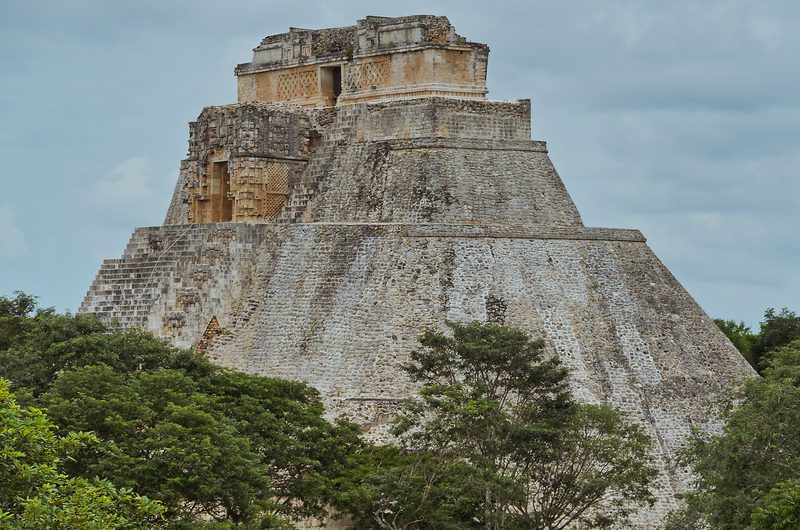 I considered buying one of those Panama hats to block the sun but instead settled for an Uxmal baseball cap since I have collected baseball caps from most of my other travel destinations. I still hadn’t managed to find any sunscreen on this trip (a store in the ground-floor mall of my hotel in Merida wanted like $35 for a little tube! ), so I just used some hand lotion on my face and my Avon bug spray (which includes some sunscreen) for the rest of me. 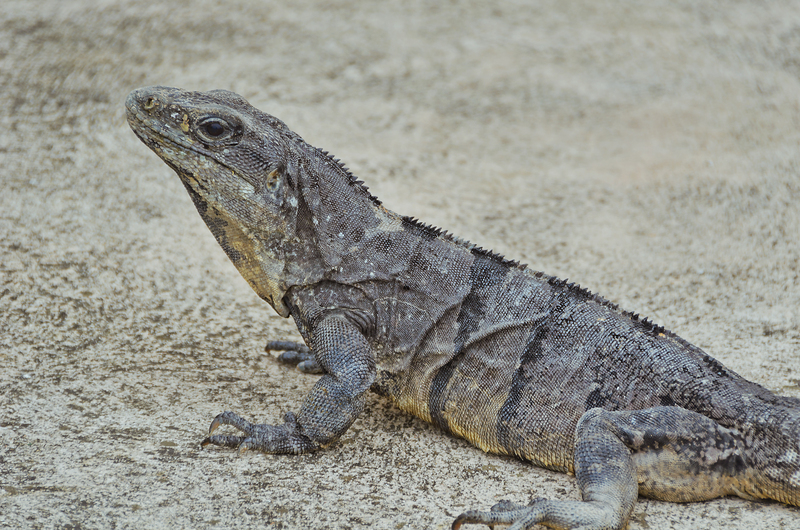 The bug spray has proven to be very effective on my two jungle-ish trips in Peru and Mexico at keeping away the insects, so I was glad I brought it. 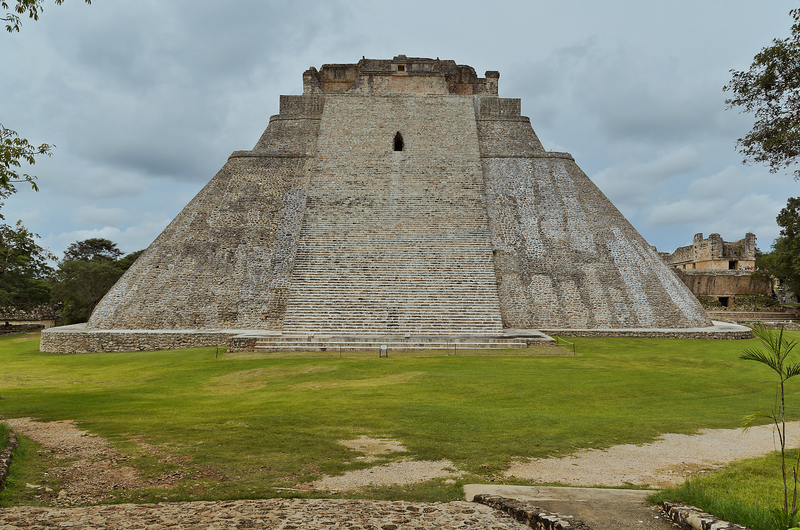 Upon entering the Uxmal complex the first thing you see is the glorious Pyramid of the Magician. 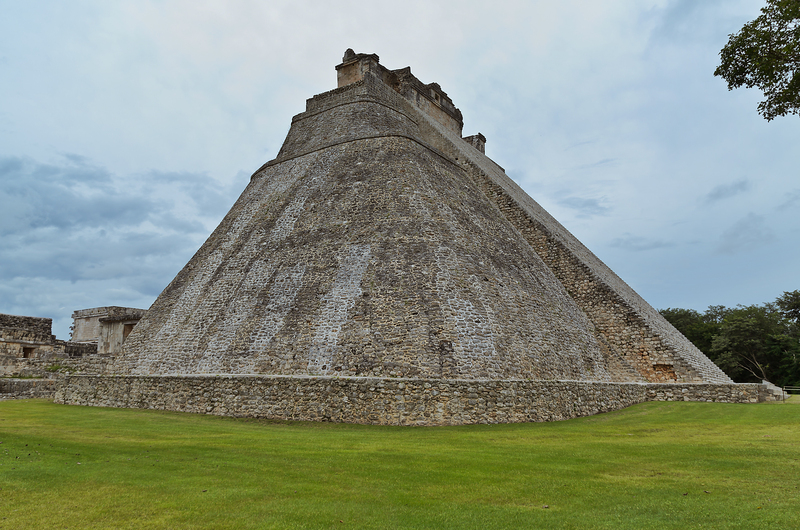 Unfortunately, this is not a pyramid they allow you to climb. Our guide took us through the entire complex, providing excellent background and commentary. This was easily my favorite of all the pyramid sites I visited. 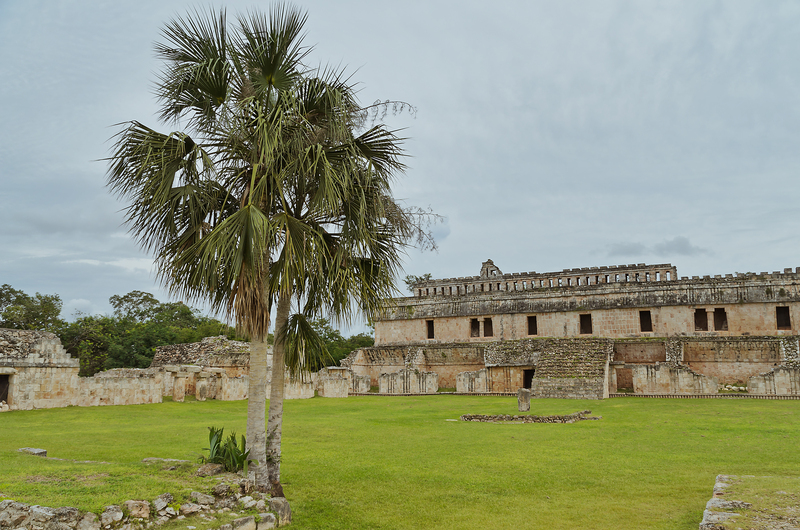 Because it is so remote and peaceful, with far fewer tourists than the more popular pyramid sites (and no vendors harassing you to buy stuff), it’s really easy to imagine yourself as an Indiana Jones-type of explorer stumbling onto a lost Mayan city in the middle of the jungle. 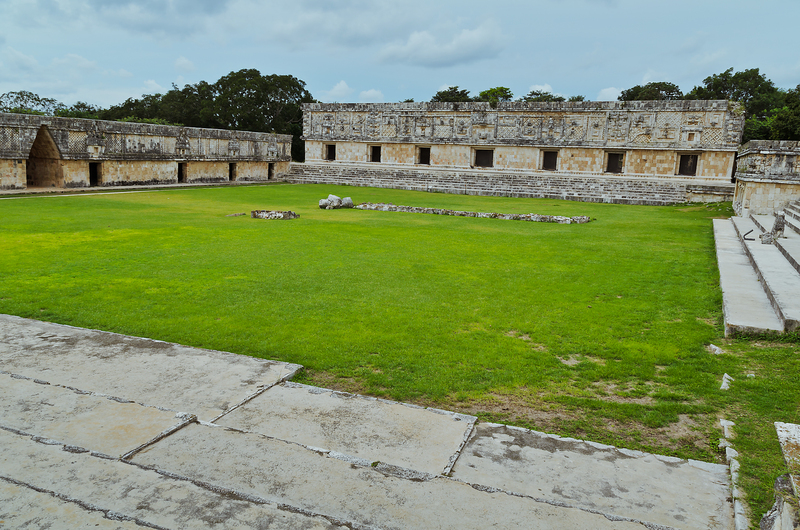 Looking through the ball court toward the Governor’s Palace. 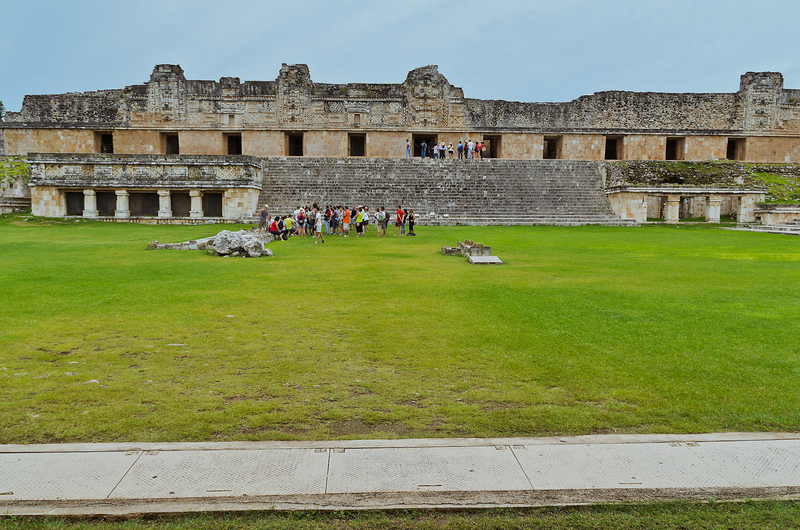 After our tour, the guide gave us free time that I used to climb the Great Pyramid at the other end of the complex, which has only been partially restored. 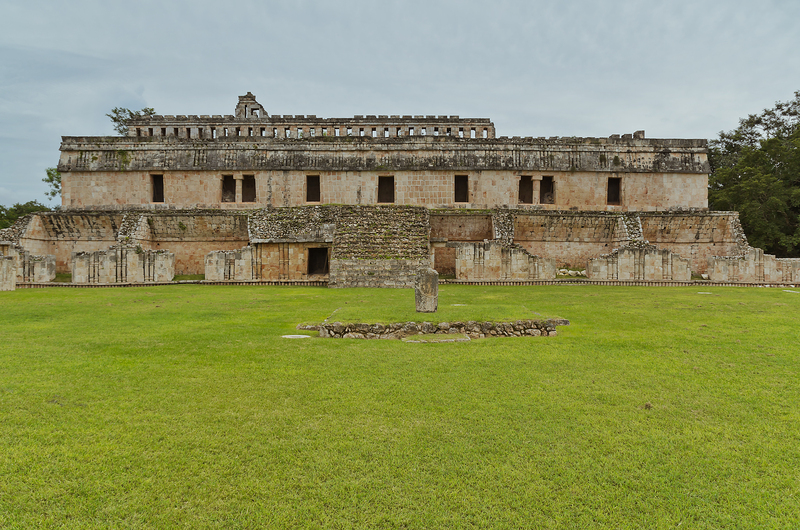 The top offers a bird’s-eye view of the entire complex and really gives you a sense of its remoteness as you gaze upon jungle stretching to the horizon in every direction. 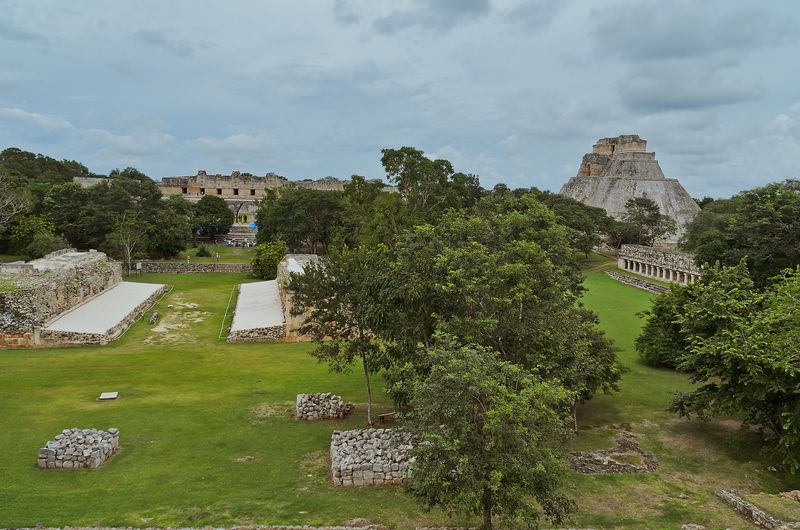 View of the Uxmal complex from the Governor’s Palace hill. 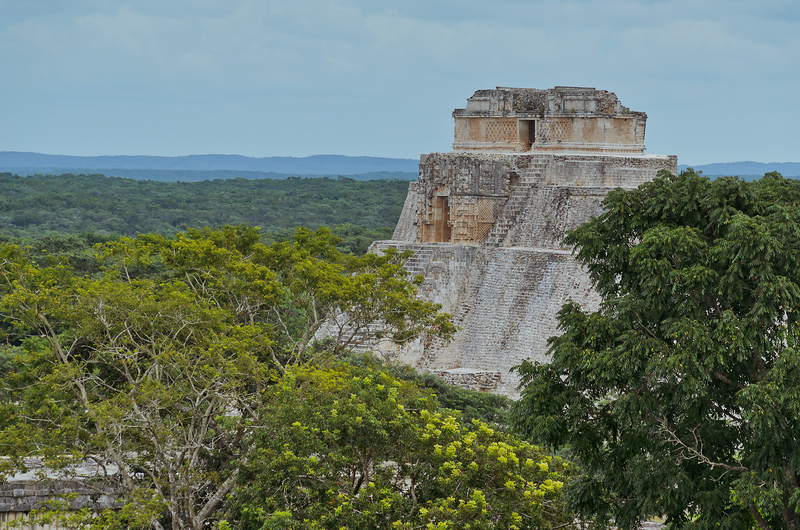 Kabah is a sister site to Uxmal located about 14 miles away. 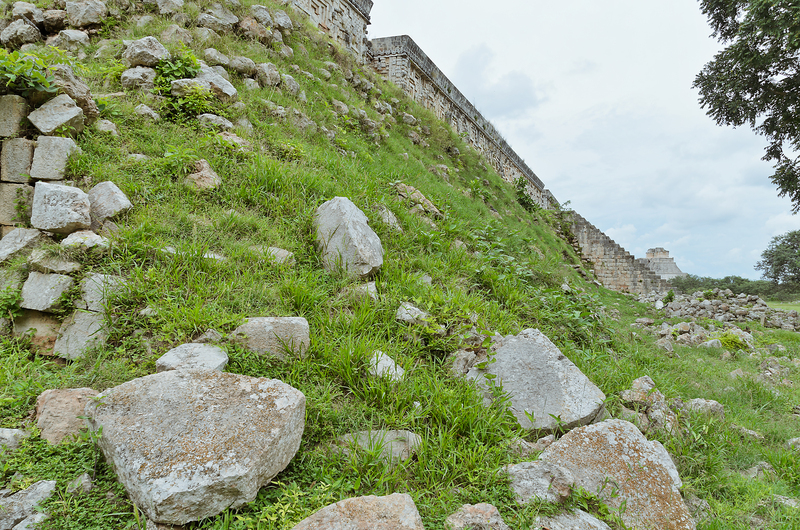 The two sites are connected by an ancient Mayan causeway, though I’m not sure if you are actually able to hike the whole thing. A grand arch sits at either end of the causeway but I did not have the chance to see this at Kabah since I was unaware of it at the time. In the distance on the upper right you can see the overgrown Great Pyramid of Kabah. 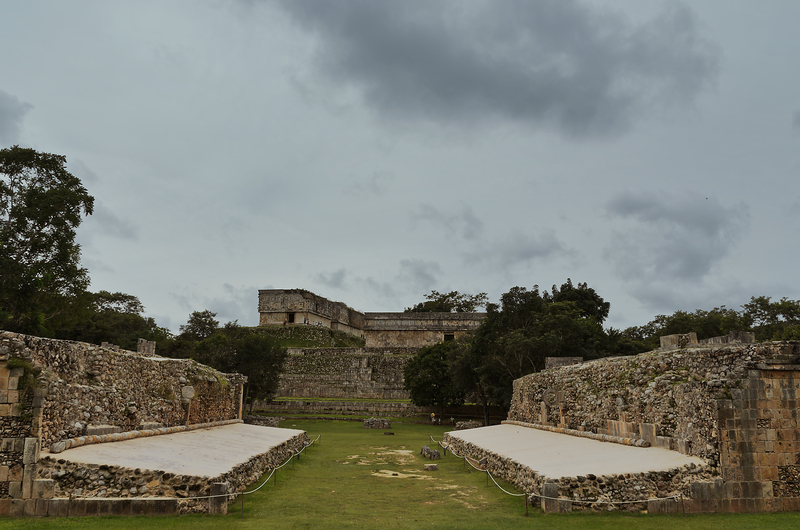 Kabah is even more remote than Uxmal, with very little in the way of facilities, which to me is a good thing because it feel much less touristy than the more popular sites. In fact, we were the only group there, so we basically had the run of the place. 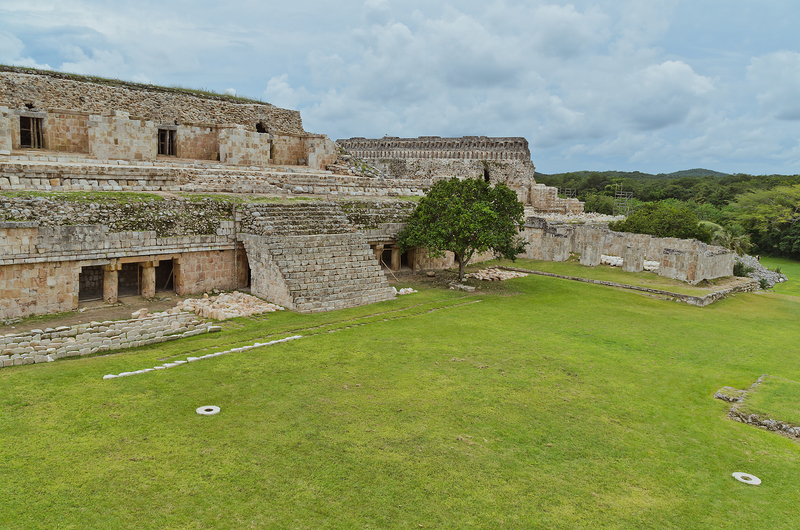 It’s a smaller site than Uxmal, but apparently only a portion of it has actually been excavated, so it could prove to be much larger than it appears. As I toured the various buildings I could see excavators working on structures in the woods. We didn’t have a lot of time to spend here, so I never made it to the other side of the road (where the causeway is), but from what I hear, it’s worth a hike to see structures still overgrown with forest (as well as the aforementioned arch). Closeup of Codz Poop facade. After Kabah I was not feeling too well, mostly because I hadn’t hydrated enough to counteract the extreme humidity; I did not bring as much water as I should have, but the California couple was kind enough to give me an extra bottle of water they had. For lunch we went to an outdoor buffet at a charming hotel, though I wasn’t feeling up to eating much. After dinner, we were scheduled to go home, but another couple wanted to see a working Mayan village and the group voted to go. I would much rather have just gone back to my hotel at that point, given the way I was feeling (and the fact that there was an extra cost associated with it), but I didn’t want to ruin it for everyone else, so I went. I think the village was just for show and that they don’t actually live there, but it was still a neat experience. We saw them make rope from leaves and enjoyed tortillas made right in front of us. We also were able to pick tasty oranges right off the trees and eat them; I had never seen oranges with green peels before. Me with one of the Mayans. I’m holding a piece of rope he had just made. Interior of a Mayan Hut. 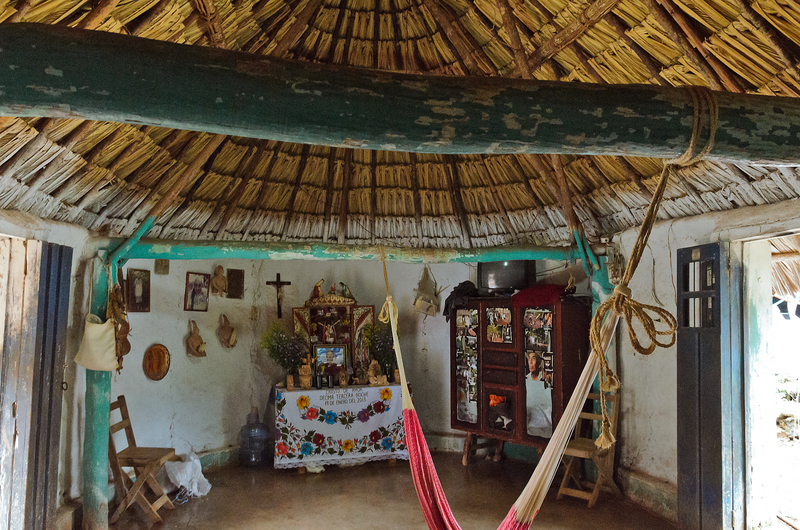 According to my guide in Merida, many people on the Yucatan still sleep in hammocks rather than beds. When I finally returned to the hotel that night, I skipped dinner again but found time to enjoy the hot tub, which really hit the spot. In the lobby that night there was a big Day of the Dead corporate party going on, with music loud enough that anyone who wanted to go to bed early would be screwed. Luckily, I’m a night owl anyway, and I had to pack since this was my last night in Merida. 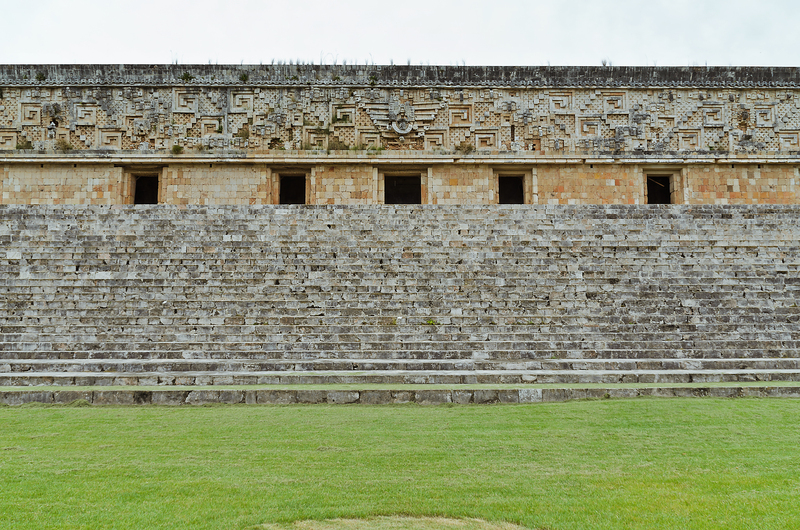 In the morning I would be headed to Chichen Itza and then on to Cancun. Looks like have been having a pretty epic trip. 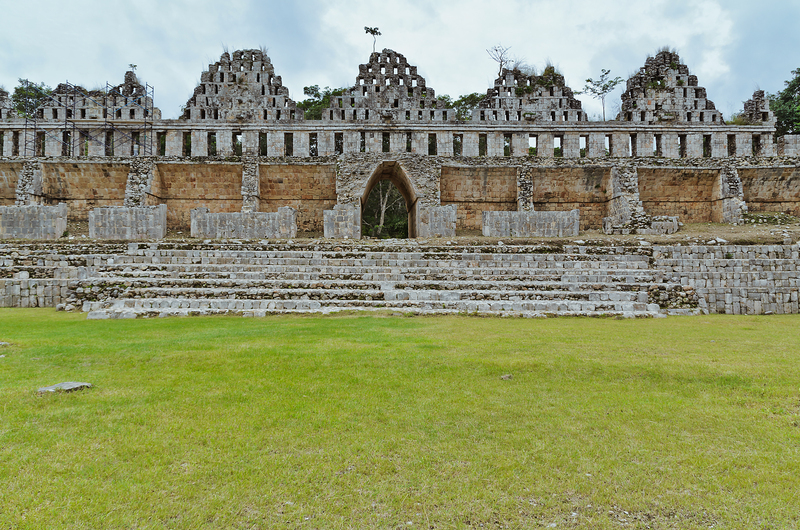 Mayan ruins are always so cool. Thanks, it was a great trip. 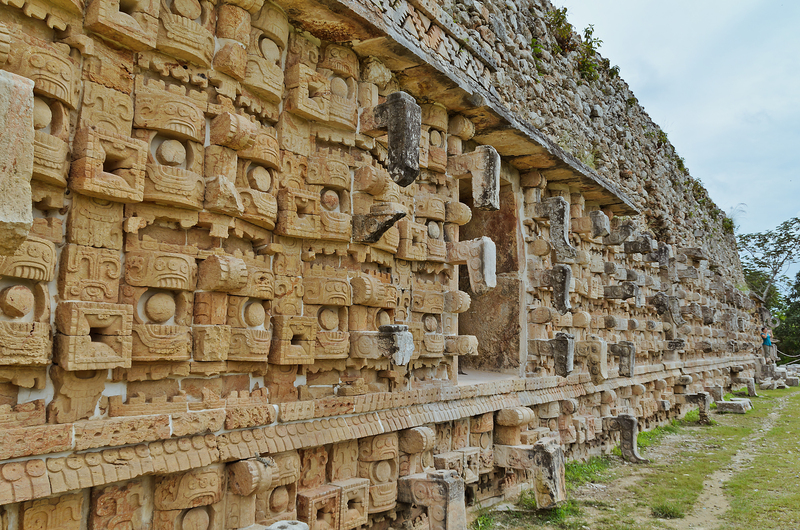 I can’t ever get enough of Mesoamerican ruins; I’ve always been fascinated with them.